Search Engine Marketing is a set of paid activities whose primary goal is to showcase and promote the client’s website in various search engines viz., Google, Bing, Yahoo, Baidu and likewise. It is a source to gain website traffic by buying ads on search engines. As on date SEM is highly result oriented. It is undoubtedly the quickest way to drive traffic to a website. Looking at the volatile market needs and latest trends, the analysts are right when they say, “You can’t sell anything if you can’t tell anything”. In marketing, it’s all about reaching out to the customers, not just creating products and waiting for the customers to pursue you. But when the competition is so tough, it is very difficult to grab audience’s attention. This is where Search Engine Marketing comes into picture. Paid advertising allows any business at any stage of their business to boost their traffic and rapidly get leads, generating more conversions required to keep the business ticking over. In the background, organic campaigns help improve the presence in natural search results. Expert search engine marketers suggest that a mix of both paid and SEO activities will get you results, but at the same time the percentage would vary depending on your website maturity and business’ domain. 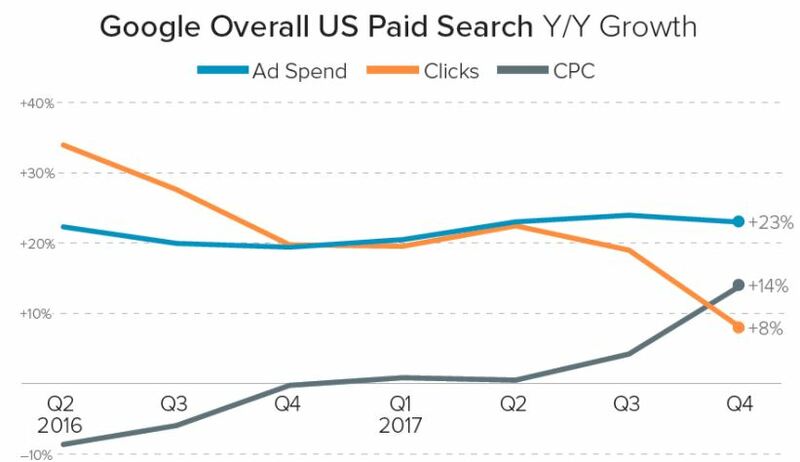 Here’s a Q4 2017 Digital Marketing report that shows overall paid search growth, spending grew 24% Y/Y in Quarter 4 2017, which is up by 22% in Q3, and CPC growth jumped to 14%. The greatest power of such type of marketing is that it offers advertisers amazing chance to portray their advertisements in front of the excited customers who are readily looking for a compatible product and at the same time willing to do a purchase. Also Read: Here Are The Best Ways To Be An Effective Social Media Marketer In 2017! In search engine marketing, advertisers pay only when the instances result in visitors. This is in fact quite efficient for a company to dedicate its marketing expenditure to. Another advantage is that, each visitor to the website gradually leads to enhancement in the ranking of the website in organic search results. 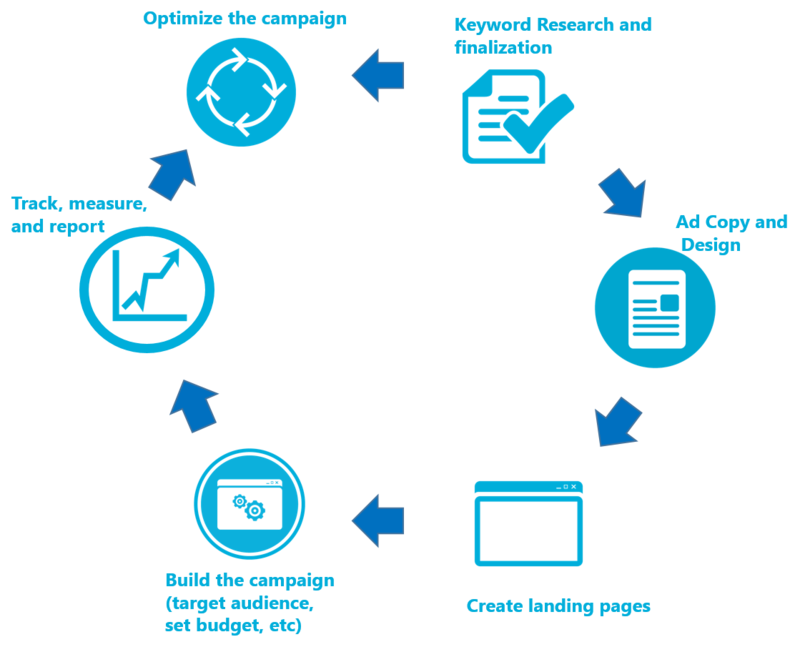 You can start with the searching of the keywords, followed by ad copy creation and design, landing pages, and finally setting up the advertisement campaign in inside the platform. After launching the paid campaign, you can evaluate and optimise it in run time. Since consumers query the search with the objective of finding useful information, it’s easy to convey marketing messages to them and create opportunities for leads. Unlike most of the digital advertising, search engine marketing is non-intrusive and does not interfere with consumer’s tasks, and this quality places it ahead of other digital advertising media. Advertising media is looking forward to completely revolutionise search engine marketing by generating a system that gives equal opportunities by free ads to all websites that register through their application. With their system, one’s ability to pave their way into a top spot will not affect the listing position of their website. Rather, each site will follow a rotational process where it will start at the lowest rank and move up incrementally until it reaches the top. Let’s take an example of a Seller who sells Printers and accessories of a brand. And if a consumer searches “want to buy a particular brand printer or want to purchase a brand printer” then the SEO settings would be useful and portray your website as one of the top links as compared to others who haven’t put in SEO efforts. However, for a scenario where customer searches for keywords addressing a brand of printers, it is quite possible that the top results may show the actual website of that brand. This is because the content relevance of that actual brand website will be more than this seller. Even though the Seller’s website might still appear in the first page, it may not generate desired traffic. 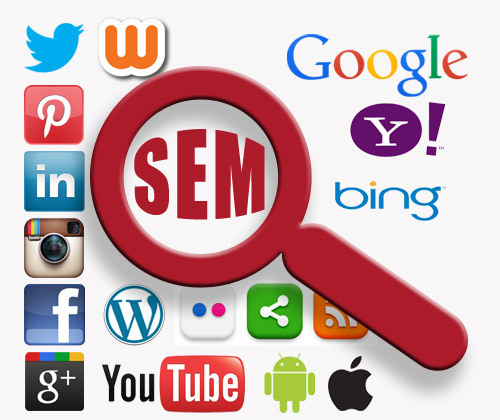 In such cases, SEM is helpful as it places the Seller’s website amongst the top links of the search results as sponsored links. All leading search engines like Google, Yahoo and Bing have their own SEM programs through which companies display their website as sponsored links in the first page of the search results. Unlike traditional media, where you buy the ad space, in search engines you bid for the keywords in which you would like to be placed as top links in the search results. You can choose amongst paying for clicks or number of page views. In Pay per Click model (PPC), every time user clicks on your link, you will be charged to your account. In Cost per Thousand (CPM) model, you will be charged for every thousand impressions or page views your ad receives. Look for an SEM marketing company with knowledgeable search engine marketing consultants who have the right experience to properly set up, manage, and adjust your paid advertising campaigns to make it work for you. Search engine marketing’s greatest strength is that it offers advertisers the opportunity to run their ads campaign in front of potential customers who are ready to buy at the precise moment they’re ready to make a purchase. No other advertising medium can do this, which is why search engine marketing is so effective and such an amazingly powerful way to grow your business. Fantastic Blog! It really gives proper collaboration to understand the main theme step by step, keep it up. Thank you! We are glad you found this informative.